He had lost his mom and had nowhere else to go. 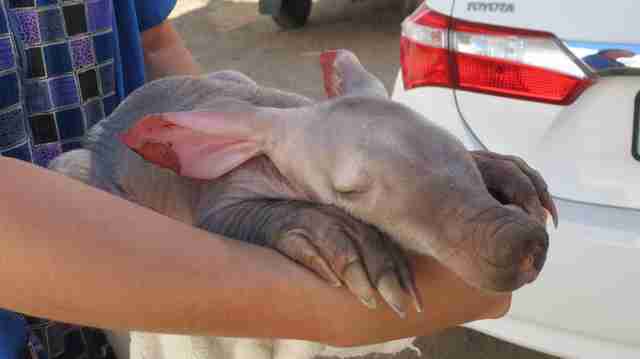 The truck driver was ready to take off, but first he checked his tires - and it's a good thing he did, since leaning against one of the front tires was a tiny baby aardvark. 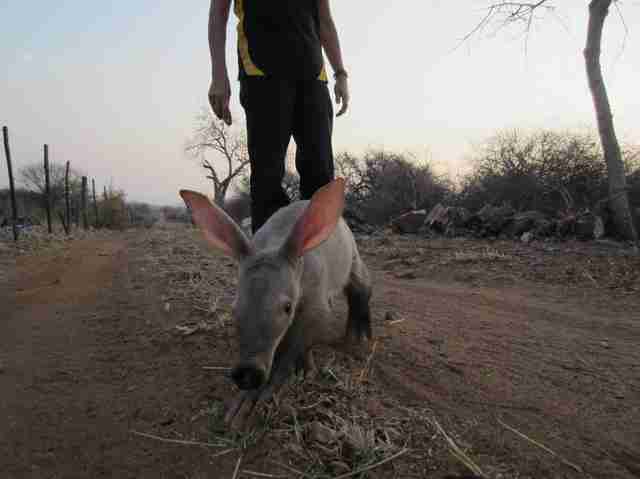 The truck driver, who was based in Namibia, searched the area for the aardvark's mom, but couldn't find her. 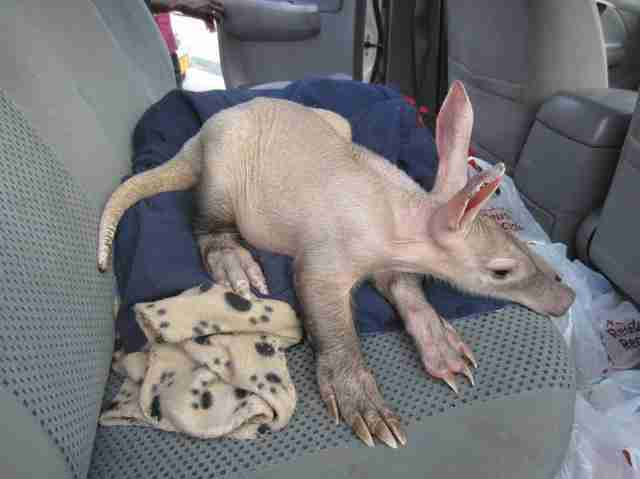 So he scooped the baby aardvark up and drove him back to the truck company's headquarters. 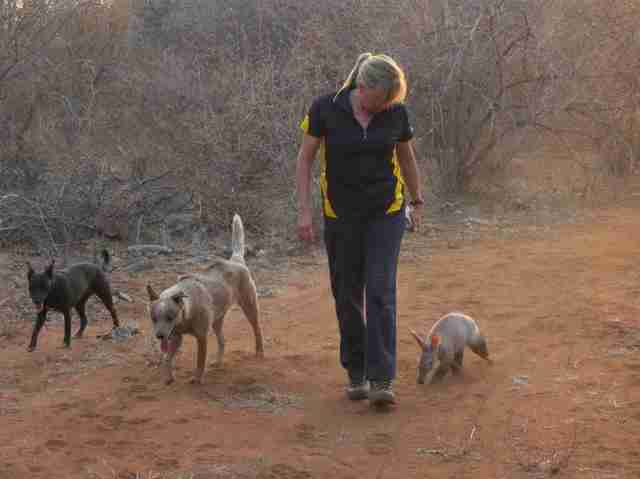 From there, the aardvark was given to Dr. Erika de Jager, a local vet and the founder of ZURI Orphanage, a small animal refuge that de Jager runs from her home. 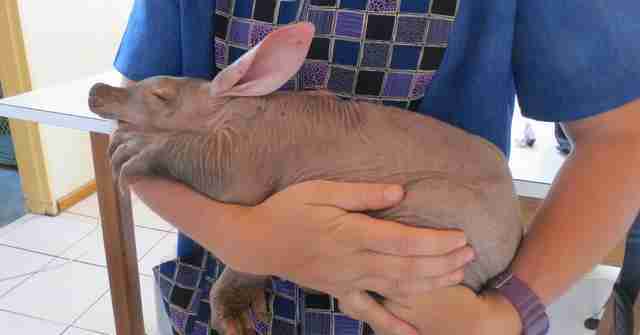 The aardvark, whom de Jager named E.T., had no body hair, and was probably about 2 months old. 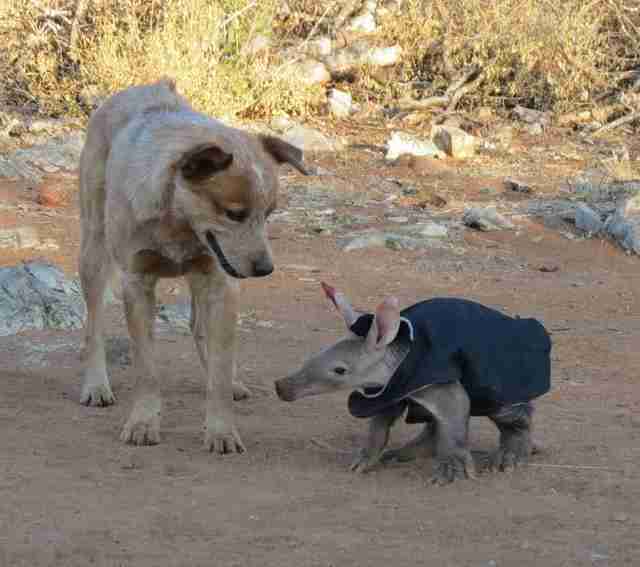 As soon as de Jager laid her eyes on the aardvark's little pink body and long, anteater-like snout, she was besotted. "It was love at first sight for me," de Jager told The Dodo. 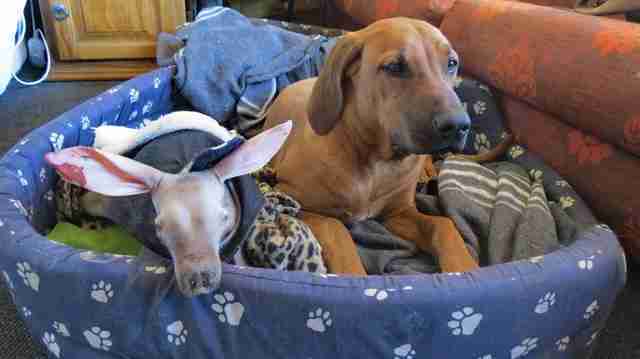 But de Jager had never taken care of an aardvark before, and doing so was a steep learning curve. "We had to experiment a lot with different teats," de Jager said. "We also fed him, in the beginning, a local brand of kitten milk, but he did not do well. It was only after we received some advice from a lecturer at Onderstepoort that we had a better idea of what to feed. 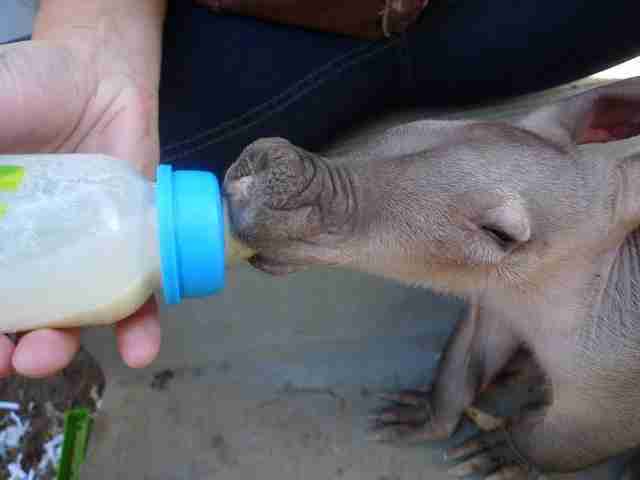 We then started to feed him the imported milk and he immediately started to pick up weight." "It is a full-time job, much like a [human] baby," de Jager added. "They need to be fed every couple of hours. I also had to take him for walks to make sure he gets some exercise." Then de Jager had to introduce E.T. to her rescue dogs, Spokie and Zarah. 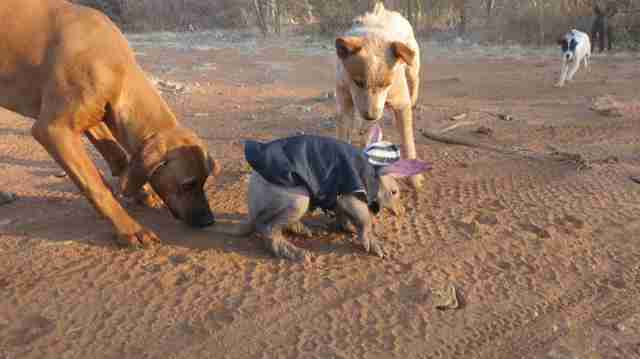 At first, the dogs seemed to have no idea what kind of dog E.T. was, and they were completely bewildered. But the dogs quickly accepted E.T. into their pack. 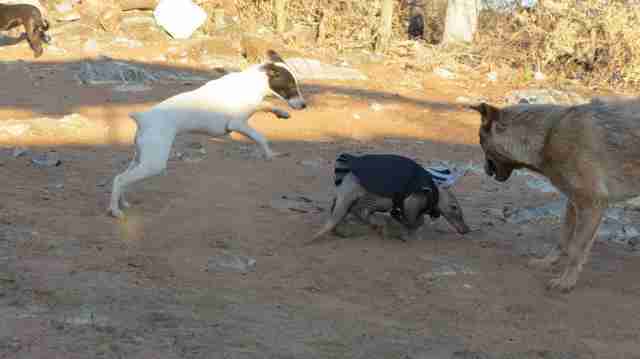 "The dogs were interested in him and just reacted as if he was another puppy," de Jager said. 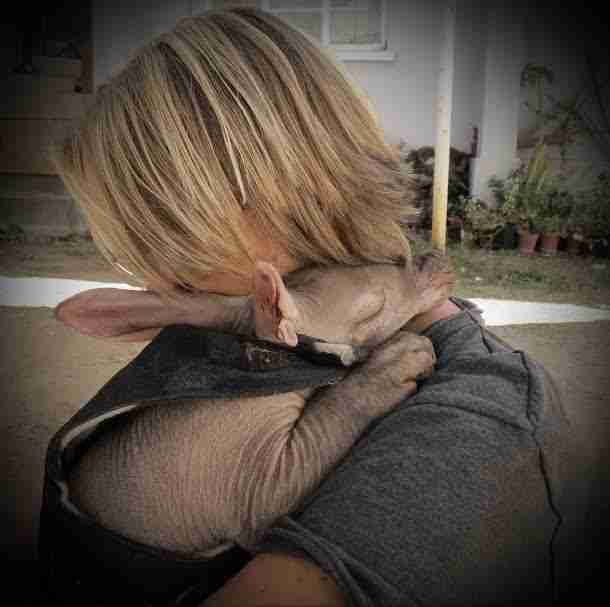 "They are used to baby animals like goats and warthogs [at the orphanage], so it was nothing unusual for them. They just played with him like he was one of them." Since E.T. was a baby, he did a lot of sleeping, and his favorite snoozing spots were dog beds. "He slept with the dogs and in the dogs' beds like a baby," de Jager said. But whenever E.T. was awake, he wanted to follow Spokie and Zarah everywhere. "If the dogs went for a walk, ET was with them," de Jager said. 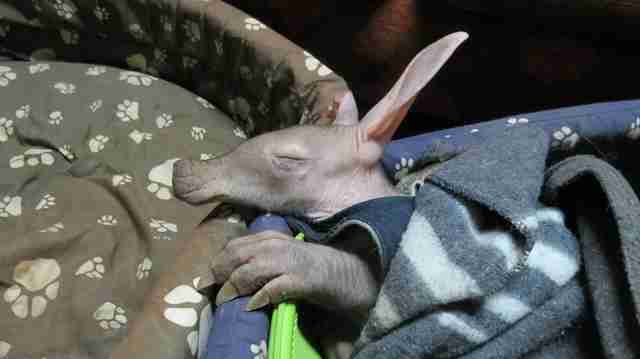 "I don't think ET realized he was an aardvark. I think he just assumed he was a dog." E.T. stayed with de Jager for five months before he was released back into the wild. "ET's release took place in stages," de Jager said. "He was first allowed to play outside for an hour, then four hours ... and then one night, he stayed out." E.T. may be wild again, but de Jager sees him all the time. "He comes home every night," she said. De Jager's experience with E.T. 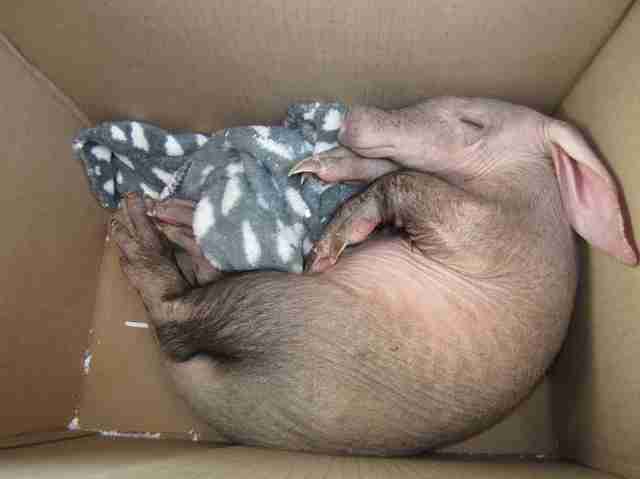 came in good use - a couple months later she took in another baby aardvark, Gertie, who'd also lost her mother. Like E.T., Gertie loves sleeping in dog beds and playing with her dog friends. 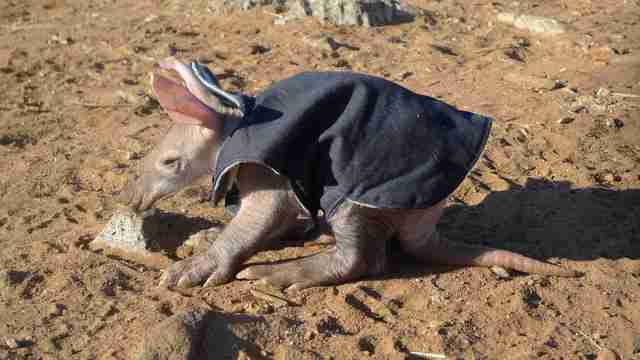 To help aardvarks and other African animals, you can support ZURI orphanage by donating here.